With the Maharashtra state government announcing that it would provide adequate security to the theatres that screen My Name is Khan, the theatres have resumed advance booking. The booking, it may be mentioned here, was cancelled due to the fresh threats issued by Shiv Sena. Shiv Sena has been insisting that Shah Rukh Khan retract his statements on the inclusion of Pakistan players in the IPL matches. 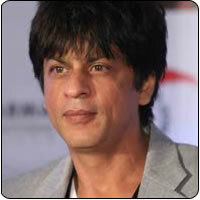 SRK avers that he did not say anything that is against the law to tender an apology. This war of words between the two has led to all the trouble. The state police have been geared to handle the situation in the wake of MNIK release.